Its our privilage to announce that on dated 18 Feb 2017 the brand new website of Bihar Cricket Association is launched to connect the cricket activities of Bihar to each and every stakeholders of Bihar Cricket Association. This step is an approach to spread equality among each individual. 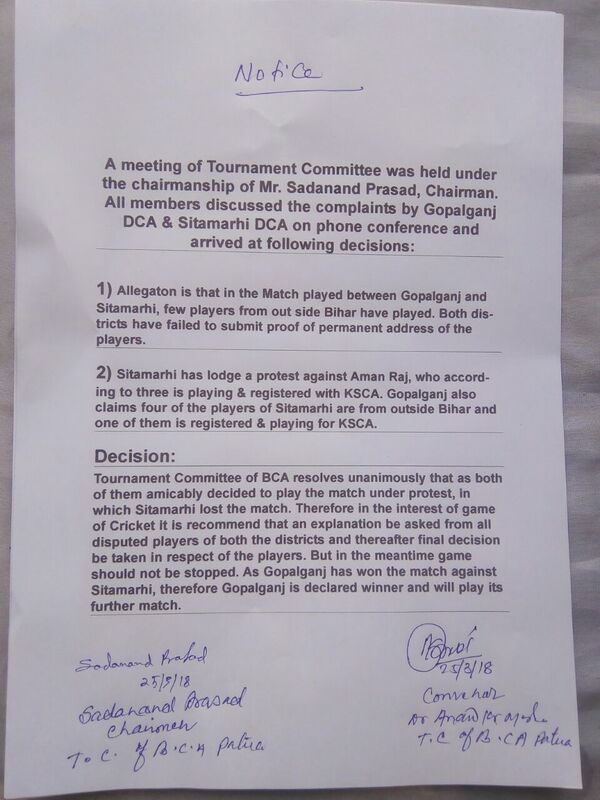 We are trying to make cricket more than active and transparent ever in state. >> VENUE & PLACE OF SGM / AGM HAVE BEEN CHANGED. 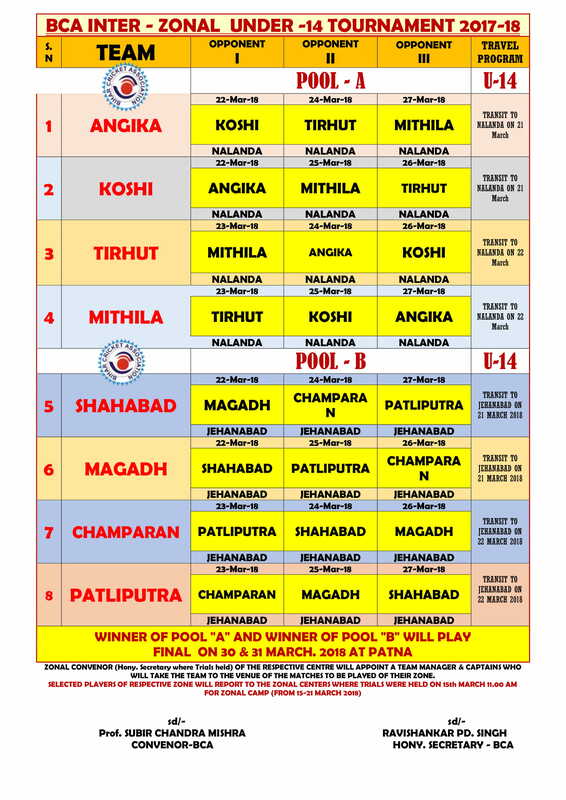 >> Inter Zonal Matches for Under 14 dates extended. 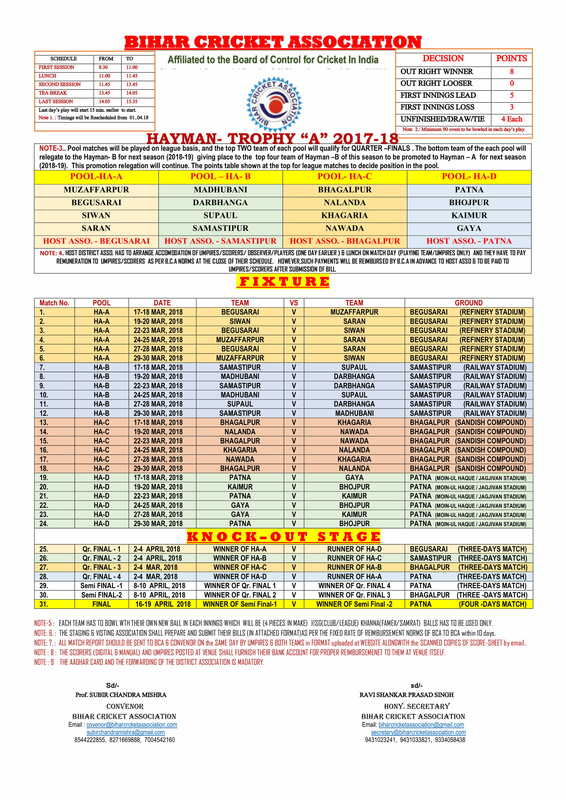 >> Shaheed Professor Abdul Bari Premier League 2018 is unauthorised Tournament. >> EXTENSION OF LAST DATE OF SUBMISSION OF AFFILIATION FORM TO 15TH OCTOBER 2017. >> AMENDMENT IN NOTIFICATION No. 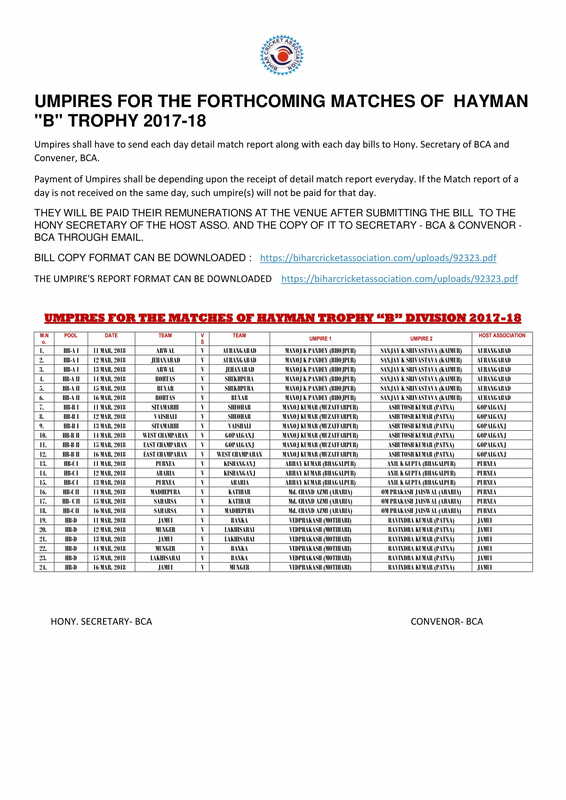 38 REGARDING HAYMAN A - POOL HA-D MATCHES . 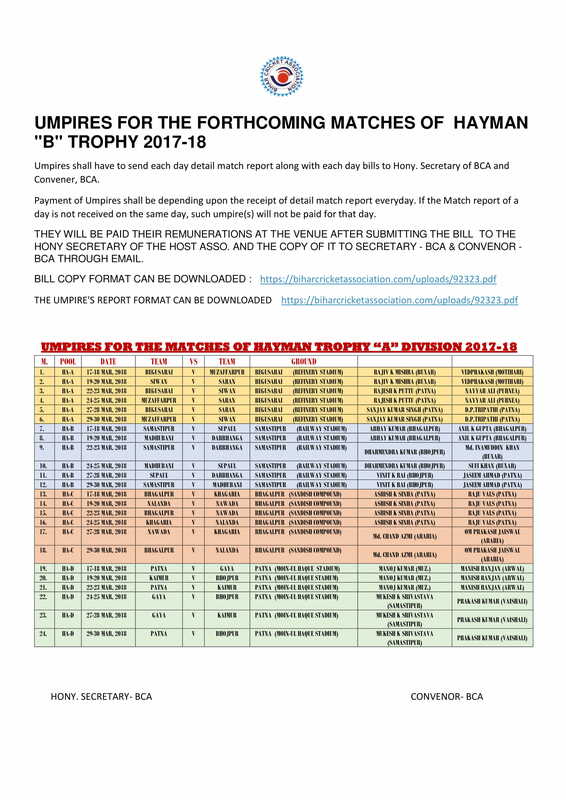 >> UMPIRE'S OF UPCOMING MATCHES (HAYMAN "A" MATCHES AT BEGUSARAI &SEMI FINALS OF HAYMAN "B)"